CBSE Board has decided to allow scrutiny of answer books of Class 10 and class 12 examinations following Delhi High Court's intervention in the matter. 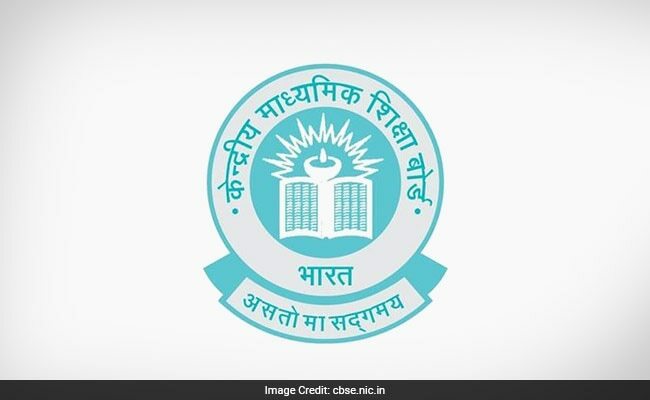 New Delhi: CBSE Board has decided to allow scrutiny of answer books of Class 10 and class 12 examinations following Delhi High Court's intervention in the matter. Though, the Central Board of Secondary Education (CBSE) has decided to allow scrutiny of answer books of only those students who have applied for photocopies of their evaluated scripts. Request for scrutiny of marks for particular question(s) only in theory paper shall be received offline through Demand Draft till July 7. CBSE has last week told the Delhi High Court that if any student who wrote the class 12 exams feels that his or her answer sheets were not correctly evaluated, he or she can now approach the board under its verification scheme. The submission was made by the CBSE before a vacation bench of justices Manmohan and Yogesh Khanna, who accepted the board's submission and asked the students to approach the authority. On the submission made by the CBSE, the bench disposed of the petitions. In Class 12 only those candidates who have applied for obtaining photocopy of the evaluated answer book shall be eligible to apply for Scrutiny of marks awarded to any question(s) with respect to the available marking scheme in the following major subjects only to the respective Regional Offices: English Core, English Elective (CBSE), English Elective(NCERT), Hindi Core, Hindi Elective, Mathematics, Physics, Chemistry, Biology, Business Studies and Economics & Accountancy. In Class 10 in the event of receiving representations relating to non-awarding of marks to particular question(s) as per marking scheme and/or unevaluated portion of the Answer Book, the same shall be dealt as per procedure followed for verification of grades. Request for maximum 10 questions shall be entertained only for theory portion in the above subjects at Rs.100/- per question. Request for scrutiny of marks for particular question(s) only in theory paper shall be received offline through Demand Draft in favour of "Secretary, CBSE" drawn at the place where Regional Office is located from 01.07.2017(Saturday ) to 07.07.2017 (Friday) or through NEFT. Request for scrutiny of marks will only be accepted once. The applicant will have to refer to the marking scheme in the subject concerned which would be available on the website along with the question paper and then submit application for scrutiny in the required question (s) with reasoning. In case there is variation of marks of 5 marks or more in the subject concerned after scrutiny, then the marks awarded in the first evaluation in respect of that subject shall stand annulled and the fresh marks awarded in the scrutiny shall only stand valid for that particular subject(s) and a fresh marks statement will be issued incorporating the marks awarded in the scrutiny. However, If after scrutiny, any change Is observed in questions of upto 02 marks I.e. 01 and/or 02 marks, the same shall be considered for addition even if less than 5. The status of Scrutiny of marks shall be uploaded on the net for the subject and question(s) for which applied for, followed by a formal letter by speed post. In case of upward revision of marks in the question(s), fee paid for Scrutiny of marks shall be refunded for that particular question(s) only xi) the decrease even by one mark shall be effected. In case the marks already awarded remain unchanged or decreased, then the amount of fee paid for Scrutiny of marks shall not be refunded and no appeal or review against the scrutiny of marks would be entertained. He Board will not be responsible for any loss or damage or any inconvenience caused to the candidate, consequent to the revision of marks, if any or delay in communication for reasons beyond control. No application will be accepted without fee.